Once solely the realm of the crust and the antiquated, the United Nations is going through a bit of a youth movement of late. We’ve witnessed the empathetic verve of Emma Watson and the appearance of K-Pop demigods BTS. But, with that being said, you can cast them in the largest bin you can find, because they’ve been outperformed by a baby. 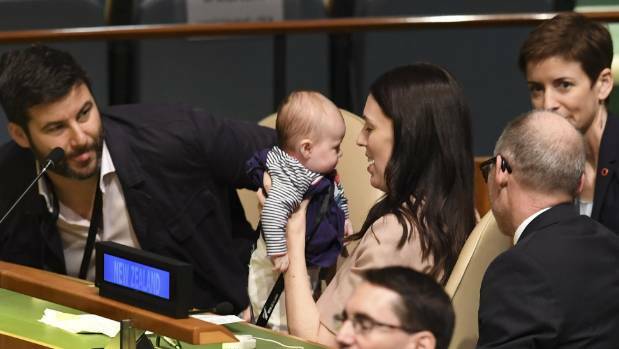 The child of Jacinda Ardern, Neve Te Aroha, gatecrashed the UN recently, sporting a rather official looking ID badge, knocked up by the good people of collective diplomacy. And yes, while we might go a bit goo-goo of sight of a miniature person, I’m willing to suggest that it represents something larger than a stained nappy. That, and just throwing it out there, but if our elected officials insist on acting like children, then perhaps an actual child in the chamber might pull them into line.